Naqshbandi masters trace their lineage through Ali, his son-in-law and successor, in keeping with most other Sufis. Within the Sufi tradition, the formation of the orders did not immediately produce lineages of master and disciple. 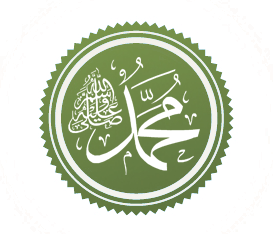 There are few examples before the eleventh century of complete lineages going back to the Prophet Muhammad. Yet the symbolic importance of these lineages was immense: they provided a channel to divine authority through master-disciple chains. It was through such chains of masters and disciples that spiritual power and blessings were transmitted to both general and special devotees. Muhammad Nazim 'Adil and Shaykh Husayn 'Ali, he built a house. This house and the mosque next to it still stand, and the mosque is the site of his maqam (shrine). He saw in a vision, while he was building the mosque, that the Prophet, with Shah Naqshband and Sayyidina Ahmad al-Faruqi, came and put posts to mark the shape and location of the walls of the mosque. As soon as the vision ended, the markers were visible, and everyone present saw them. At that mosque, over the years, hundreds of thousands of visitors were received: for healing, for prayers, for training, for all kinds of external and internal knowledge. 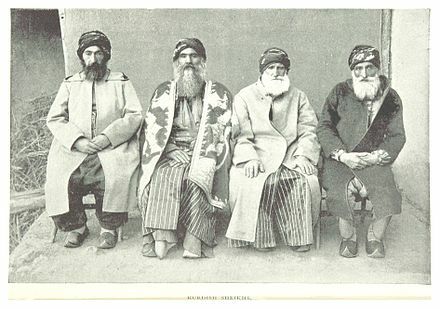 Abdullah Fa'izi ad-Daghestani and his successor and Grandshaykh of the order Nazim al-Haqqani. Naqshbandi in Saqqez's bazaar- Iran. Naqshbandi Order, containing the names of the 40 respected Sufi Grand Masters of the Order. Sufism without knowledge. Spiritual allegiance is openly and regularly given to the leader of the order, not the local teacher or sheikh. They accept interaction with other disciples of the order. They do not accept personal certification of dead persons, or in dreams, or through special spiritual experience (rawhani). There are exceptions to this rule according to the uwaisi concept of transmission where someone who lived before can train and transmit knowledge to someone who came later. They only accept written personal certification in the presence of witnesses. Naqshbandi principles, the first eight were formulated by Abdul Khaliq Gajadwani, and the last three were added by Baha-ud-Din Naqshband Bukhari. Remembrance (Yad kard – Persian: یاد کرد): Always orally and mentally repeating the dhikr. 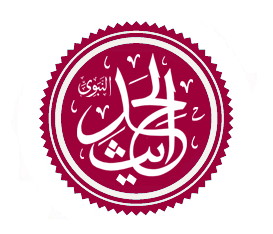 Restraint (Baz gasht – Persian: بازگشت ): Engaging in the heart repetition of the al-kalimat at-tayyiba phrase – "La-ilaha il-allah muhammadur rasul-allah". Watchfulness (Nigah dasht – Persian: نگاه داشت): Being conscientious over wandering thoughts while repeating Al-kalimat at-tayyiba. Recollection (Yad dasht – Persian: ياد داشت): Concentration upon the Divine presence in a condition of dhawq, foretaste, intuitive anticipation or perceptiveness, not using external aids. Awareness while breathing (Hosh dar dam – Persian: هوش در دم): Controlling one's breathing by not exhaling or inhaling in the forgetfulness of the Divine. Journeying in one's homeland (Safar dar vatan - Persian سفر در وطن): An internal journey that moves the person from having blameworthy to praiseworthy properties. This is also referred to as the vision or revelation of the hidden side of the shahada. Watching one's step (Nazar bar qadam): Do not be distracted from purpose of the ultimate journey. Solitude in a crowd (Khalwat dar anjuman): Although journey is outwardly in this world, it is inwardly with God. Temporal pause (Wuquf-I zamani): Keeping account of how one spends his or her time. If time is spent rightfully give thanks and time is spent incorrectly ask for forgiveness. Numerical pause (Wuquf-I adadi): Checking that the dhikr has been repeated in odd numbers. Heart pause (Wuquf-I qalbi): Forming a mental picture of one's heart with the name of God engraved to emphasize that the heart has no consciousness or goal other than God. Muhammad M. Some Aspects of the Principle Sufi Orders in India. Bangladesh: Islamic Foundation, 1985. Print. ^ "Home - Brill Reference". brillonline.nl. ^ a b c d e f Jong, Frederick De. Sufi Orders in Ottoman and Post-Ottoman Egypt and the Middle East: Collected Studies. Istanbul: Isis, 2000. Print. ^ Tariqas in Dagestan This reference actually contradicts, rather than supports, this entire paragraph ^ Kees Versteegh; Mushira Eid (2005). Encyclopedia of Arabic Language and Linguistics: A-Ed. Brill. pp. 380–. ISBN 978-90-04-14473-6. ^ Bahauddin, Naqshband. "The Imam of the Tariqat Shah Baha'uddin Naqshband". ^ Ernst, Carl W. "Names of God, Meditation, and Mystical Experience." The Shambhala Guide to Sufism. Boston, Massachusetts: Shambhala, 1997. 107. Print. ^ a b "Jalwa Gah-e-Dost (Urdu) 2nd edition (2008) by Khwaja Muhammad Tahir Bakhshi". Sufism in Central Asia A Force for Moderation or a Cause of Politicization? By Martha Brill Olcott.